Stacy Kerr is a strategic and crisis communications expert with nearly two decades of business and government experience in D.C.’s most high-profile offices and institutions. At HPS, she advises clients navigating the rapidly changing political environment and building their reputations and brands. Prior to joining HPS, Stacy served as founder and principal of Kerr Strategies, a public affairs and strategic communications consultancy, where she advised clients in the corporate, nonprofit and government sectors across a variety of industries. She is a member of the Arthur Page Society, the world’s leading professional association for senior public relations and corporate communications executives. Stacy previously served as Georgetown University’s chief communications officer, where she was responsible for maintaining and elevating the institution’s iconic, global reputation during a time of increasing disruption and complexity across higher education. During her tenure she guided the university’s management of high profile issues, grew the university’s owned platforms, and embedded strategic communications into the senior leadership team. Stacy spent 15 years working in national politics, including nearly a decade as a senior aide to Speaker of the House Nancy Pelosi. During her tenure, she played a role in historic issues and legislation, including the 2008 financial crisis and the Affordable Care Act of 2010. Stacy traveled to more than 50 congressional districts and across the world with Speaker Pelosi and Members of Congress. She played a lead role in the operational transition from Democratic Leader to Speaker of the House. Stacy got her start in politics working on Bill Bradley’s 2000 Democratic presidential campaign, on congressional races and as a Press Secretary to Congressman Marty Meehan (MA). 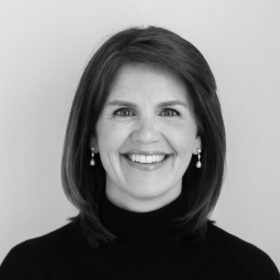 Stacy earned her master’s degree in Global Strategic Communications from Georgetown University and holds an undergraduate degree from Smith College. She lives with her husband and three children near Washington, D.C.